This is the monthly post in which I introduce the fine shops that sponsor All Things Paper. Pictures ahead! 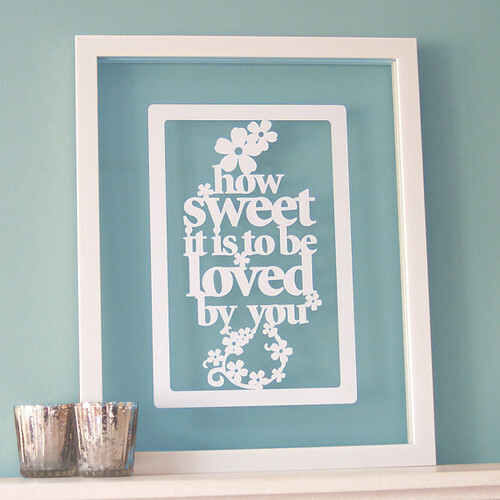 Sandy Diaz of Sweet Spot Card Shop returns with her perfectly quilled cards for any occasion. She has a great sense of humor and puts a clever spin on lots of popular sayings. 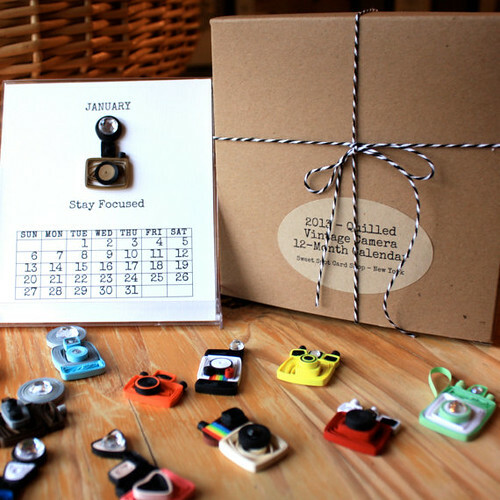 Sandy's unique 2013 calendar features a vintage, quilled camera on each page. She also makes pretty paper flower accessories. Owner and creator Linda B of Partycraft Secrets [no longer active] has an endless supply of fast, fun, and affordable ideas for crafting with young children. Her theme party e-books are written in an encouraging, you-can-do-this manner that I find very likeable. Companion paper printables are a fantastic resource for busy parents. Her blog is full of easy craft projects too. 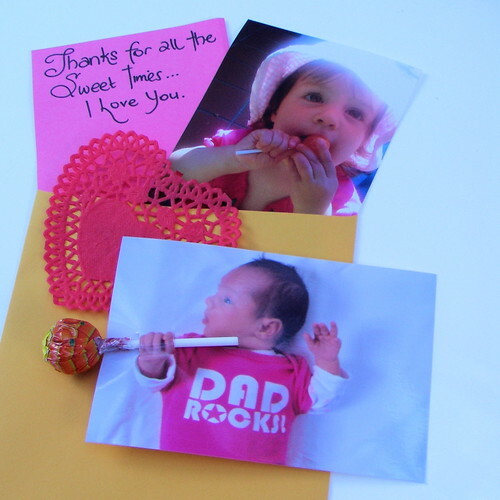 Just one example is this cute idea for a tasty, handmade Valentine. 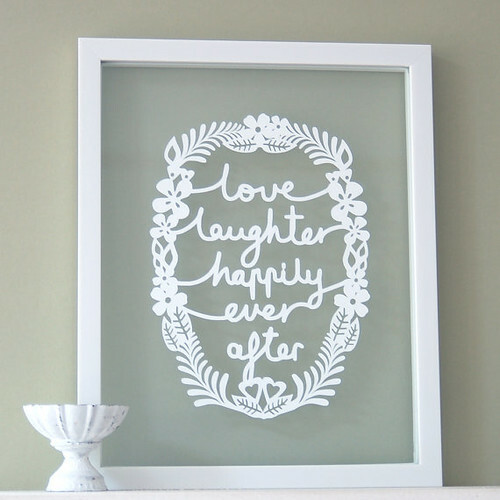 Kashmira Jhaveri of Ant Design Gifts is a graphic designer who creates beautiful cut paper quotes that are elegant in their simplicity. The clean lines of an optional float frame add to the stylish look. She also does custom designs for special occasions, such as births, weddings, and anniversaries. All Things Paper readers receive a 15% discount by entering code PAPER15 at checkout. 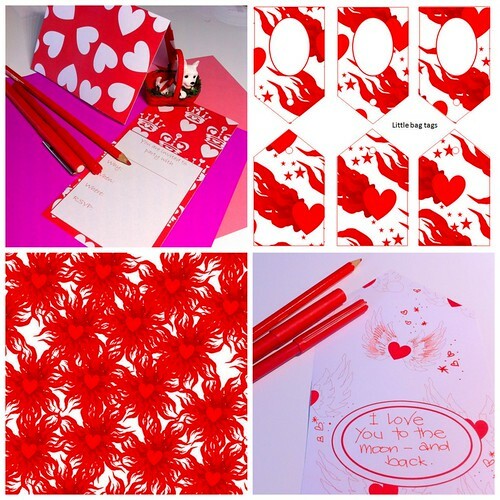 Stay tuned for a lovely Valentine's Day giveaway from Ant Design Gifts that will be coming up shortly! Linda Thalmann of PaperPhine stocks a beautiful array of paper twines. Perfect for crafting and gift wrapping, they are available in many colors and weights. Linda will be happy to advise you on the type(s) that will work best for whatever project you have in mind. 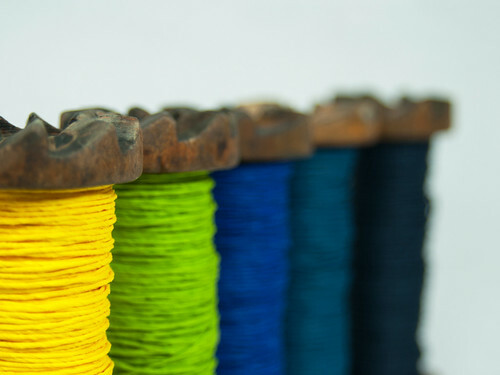 I love these vivid colors that arrive rolled on vintage braider's bobbins. PaperPhine offers subtle shades that are very pretty too. 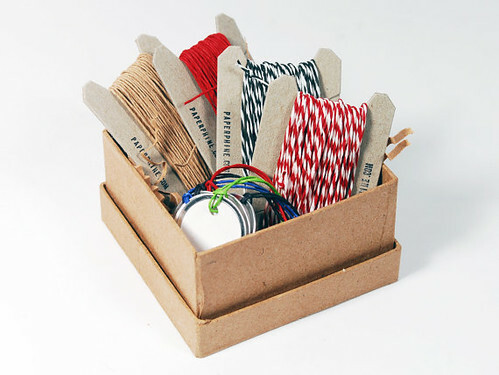 Use them to create eye-catching jewelry or purchase ready-made pieces from the shop. 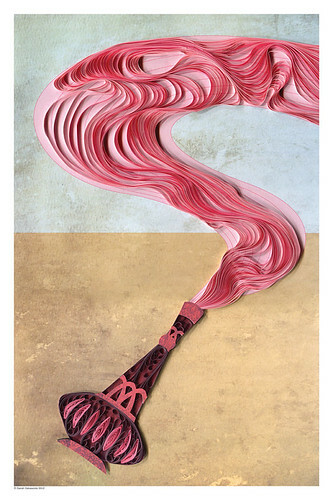 Sarah Yakawonis of Yakawonis Quilling combines paper quilling with on-trend graphic design. 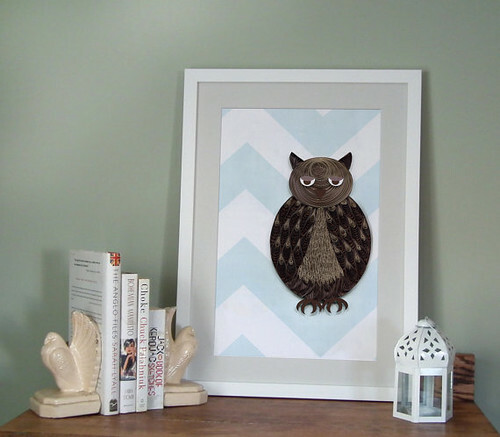 For example, this stately owl fellow. You'll also find wall decor featuring musicians, movies, and even ever-popular cupcakes. Sarah's retro genie in a bottle signed poster is a nod to one of her favorite old TV shows, I Dream of Jeannie. Ahh, the memories! 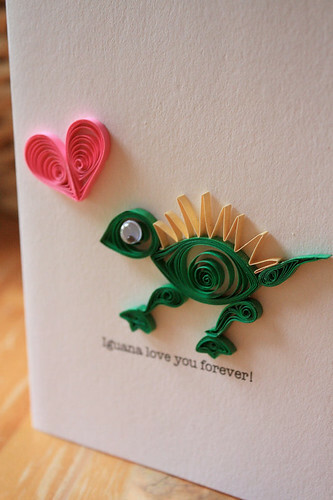 Wow to that last quilled piece. Lovely shops. Amazing owl and genie in a bottle by Sarah. She is so creative.